Indeed, in its latest update, Whatsapp is not compatible with nokia x family. 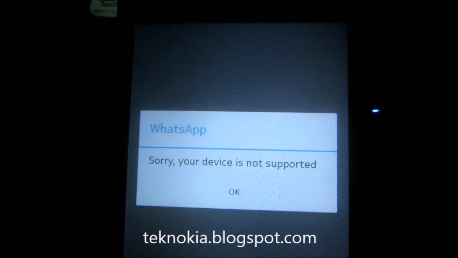 Because when we install "WhatsApp" in Nokia X & XL then if will be used to display the message "Your device is not supported". But calm, "WhatsApp" can still be used in the Nokia X family by following a few steps and tricks. Download WhatsApp 2.11.186 directly from the Nokia Browser on Nokia X.
for english tutorial please go to http://www.youtube.com/watch?v=m13Jgtn7TDs . Its clear tutorial. download Old version and change the date for verification only. You have actually provided the best blogs that are easy to understand..